Just like with the content on your blog, the quality of the content you publish on social media is just as important. So is having established goals and objectives regarding why you’re posting in the first place. I hate to be the bearer of bad news, but it’s simply not enough to post great content with the intent of meeting your business’s overarching short-term and long-term goals. You need to constantly be tracking and analyzing your results too. e’s 100% correct with this sentiment. To build strong communities, you need to constantly create new opportunities. You also need to know what’s actually working. And the easiest way to figure out what’s working is to identify these five things in your audit. First, identify the post that is getting the most engagement in views and likes. This is a key part to an audit as you’ll be able to pinpoint which posts are getting attention… and which ones aren’t. The best way to process the data is figure your average performance of your posts and then find outliers. Which ones are higher than average? The key here is to determine which posts are doing great and create more of that, while avoiding content that is getting no traction. The most shared post is similar to what I just mentioned above in terms of identifying it. Find the content that’s being shared the most and create more of it. A share is a clear indicator that someone stands by your content. The only difference with this criteria is you’re not looking at your social media posts. Instead you’ll be looking at the shares of your articles on your website. If you’ve allowed social sharing through various plugins like SumoMe, Mashshare Share Buttons, or Jetpack, each plugin should provide you data about the most shared post on your website’s dashboard. Third is to ensure consistency across all social media platforms. This means your profiles on social media, as well as your logo and header image, should all be the same. No variants whatsoever. Please. Consistency is key. Any kind of disconnection between each one can make people confused about whether they are following an official profile, or a profile made by a fan. This formula is used to determine whether what you’re doing right now is yielding returns, or you’re simply spending money on something that people don’t care about. That being said, determining what costs and benefits are is going to vary from brand to brand. So, you’ll need to take a little time to determine what’s best for your business, based on your end goals and objectives. For example, many businesses quantify value based on how many leads are generated that actually close. e-Commerce businesses may quantify success based on the number of repeat buyers they have. Last is follower growth. To calculate this, all you need to do is compare your follower count today with what it was at another predetermined time in the past. 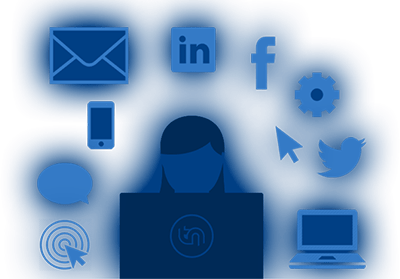 A social media audit can help you sort through – and make sense of – a large amount of information in a short period of time. And while it doesn’t need to be done on a daily basis, it should be done monthly. This will ensure you’re keeping your thumb on the pulse of what’s really happening with your social media marketing efforts.